Today was Superbowl Sunday and my friends and I made the trek to Ajax to watch the game at Craig's (that's Alfred's head in the shot and, yes, the wings were delicious!). As I knew I would be driving, I was very aware about what I drank. I had a couple of 3.5% Mill Race from Grand River Brewery during the first half of the game and at half-time switched over to Becks Non-alcoholic Beer. I have had non-alcohol beers in the past and they have been pretty awful. Having heard good things about this beer, I was willing to give it a shot. From what I have read, in the old days, a brewer would make a beer, then bring it back to a boil in order to boil off the alcohol. Alcohol boils at 173F (78.3 C), where water boils at 212F (100C). Of course, reheating the beer cooks it again, which would change the taste of the beer which maybe why it was so awful. These days new techniques are used. One is called reverse-osmosis where, according to Chow.com, beer is passed through a filter with pores so small that only alcohol and water (and a few volatile acids) can pass through. The alcohol is distilled out of the alcohol-water mix using conventional distillation methods, and the water and remaining acids are added back into the syrupy mixture of sugars and flavor compounds left on the other side of the filter. Bingo—a nonalcoholic (or dealcoholized, as winemakers call it) brew. Another method used that does not require boil is called vacuum distillation where the beer or wine is put under a vacuum. The change in atmospheric pressure allows the producer to boil the liquids at a lower temperature, or in some cases with no heat at all, and distill off the alcohol. 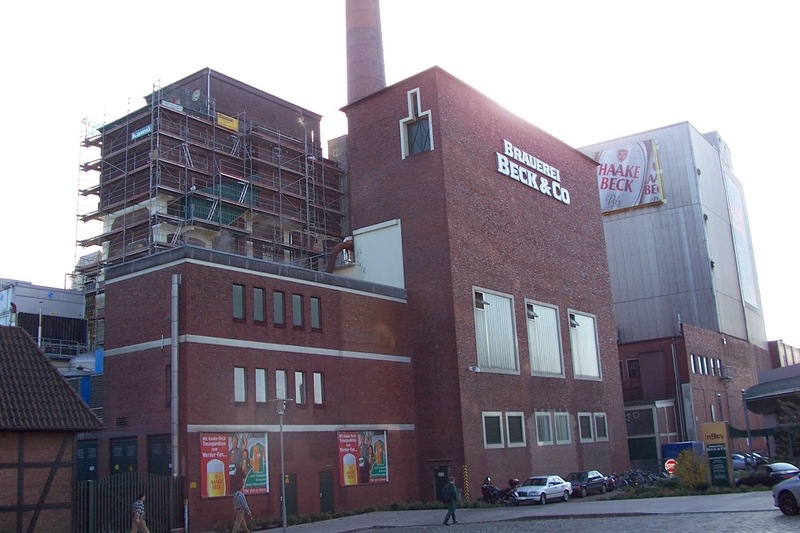 I do not know what process Brauerei Beck & Co uses. It pours a very light, pale yellow colour that can be easily seen through, with a white head that although it dissipated rather quickly, lasted longer than I thought it would. The beer had a surprising hoppy aroma which I assume comes from dry-hopping at the end. (adding hops at the end of the boil for aroma). The beer does have a very watery mouth feel with a little flavour in the beginning and a pleasant slight hoppy bitterness in the end. Yes, anytime I am driving to an event like a Superbowl party, where I can;t drink because of driving, I would not hesitate to bring a six pack of this. One reason I prefer living downtown, though, is that we can transit or cab everywhere so we don't have to worry about drinking and driving and alcohol free beer.